If you are searching for a brilliant business idea, start by looking at the simple problems right in front of you. After all, finding solutions to the problems at their very own finger tips is what inspired Steve Jobs to launch Apple, Donald Fisher to launch Gap, Ingvar Kampard to launch Ikea and Ben Silbermann to launch Pinterest. Consider this: Nick Woodman was surfing and realized that he could not figure out how to simultaneously ride the waves and take pictures of himself. He solved the problem and created GoPro, a line of durable cameras that come fitted with mounting gear allowing users to capture images and video of their most active moments. The company went public last month, Wall Street loved the stock, and now GoPro is a multibillion-dollar company. Not bad for finding a way to take a surfing selfie. 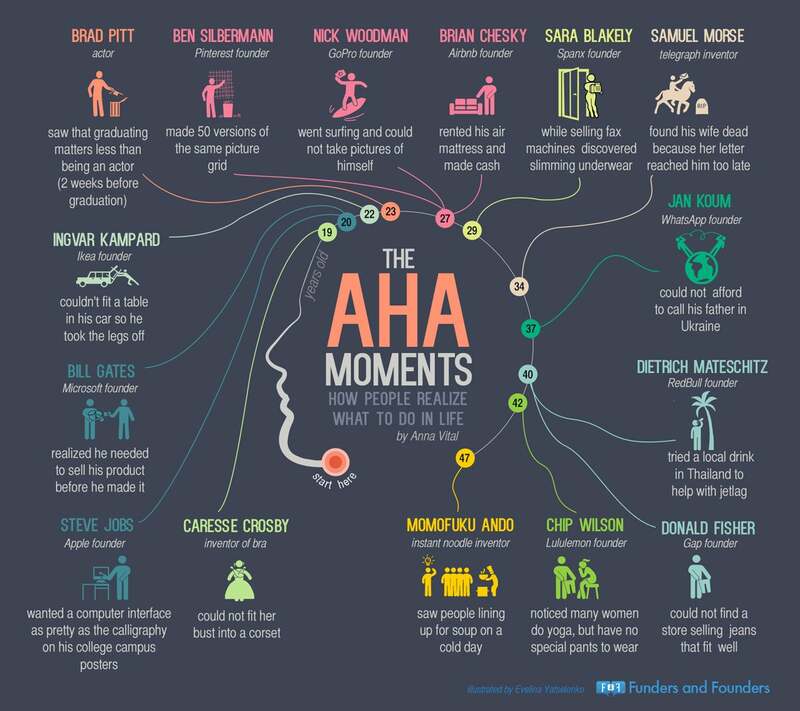 Take a look at the infographic below generated by San Francisco-based startup organization Funders and Founders for more stories of how many of the most successful entrepreneurs got started by looking at their own problems and finding a solution.